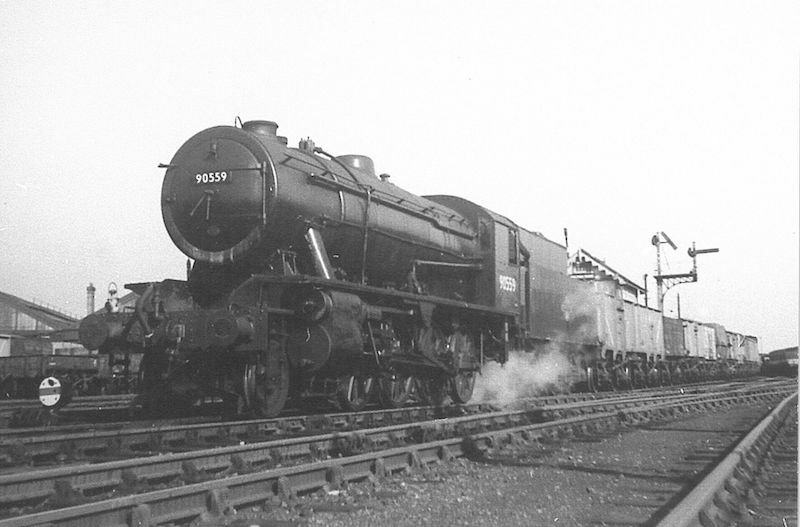 Melton Constable Railway Station and the Locomotive works on the Midland and Great Northern Railway (M&GN) played a significant role in Norfolk. The busy Melton Constable workshops were nicknamed the Crewe Works of North Norfolk where locomotives were built and repaired. 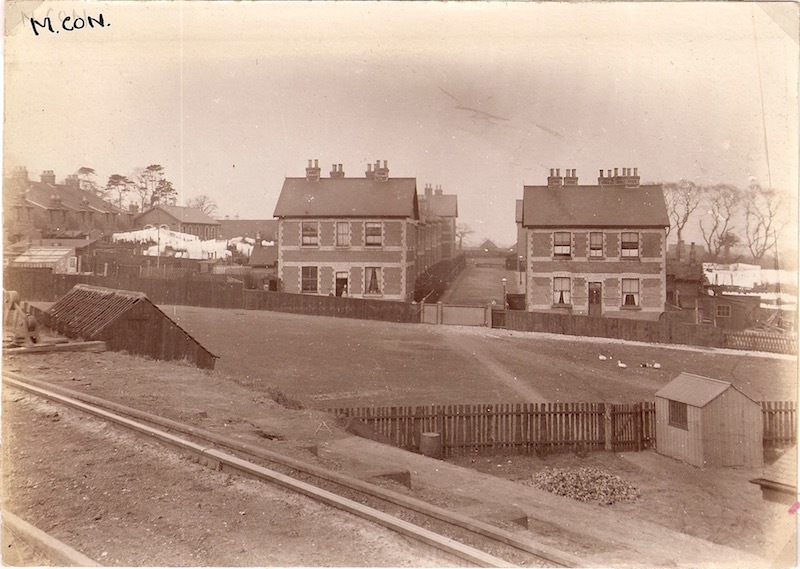 The railway provided work and to attract and accommodate the families, a gasworks, Railway Institute, shops and houses were built. 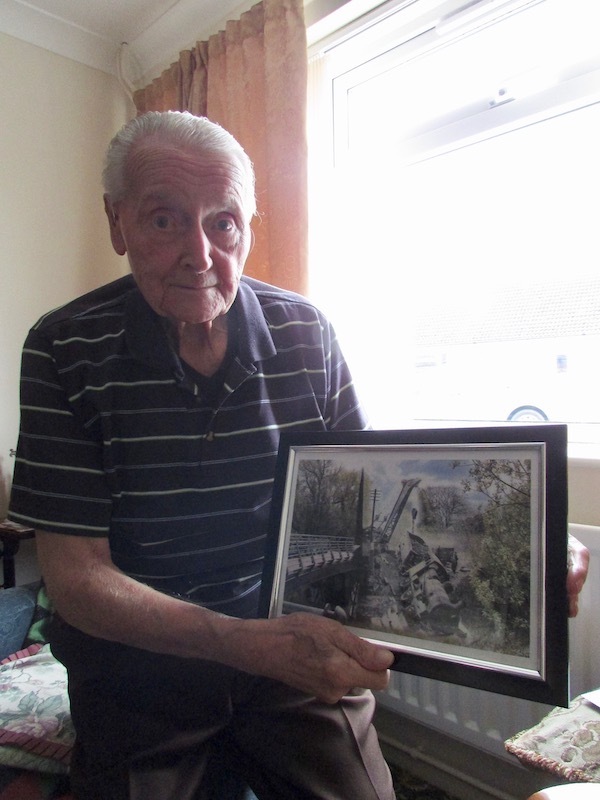 In May of 2017, our reporter Paul Young interviewed John Bishop who worked on the M&GN as a fireman on steam locomotives. 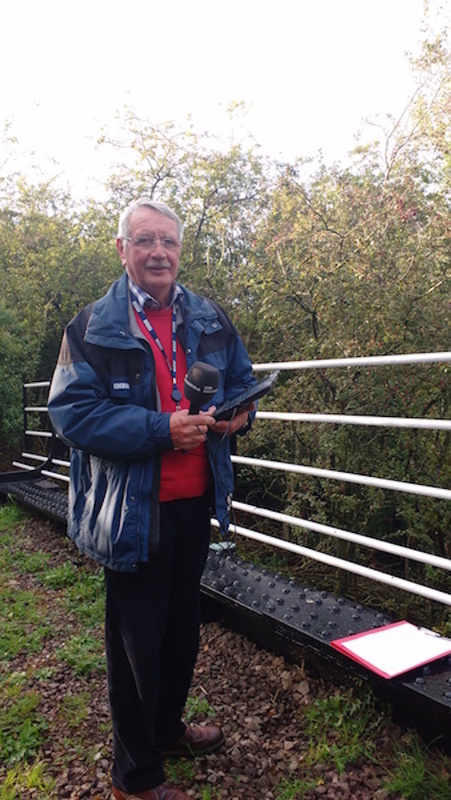 He also talks of the railway accident from 5th November 1946 just outside Norwich City Station. Driver Henry Scott, Fireman David Jackson (Tuby) Guard Bob Collins. On overtime and hoping to travel home in the guards van, driver and fireman of an earlier working into City Station, Driver Jimmy Greaves and Fireman John Bishop. John had been up to the engine intending to ride back to Melton on the footplate with Tuby being school pals the natural thing to do, however Henry was having none of that, saying “one of you are enough trouble let alone two!” John returned to the brake van to ride home with Bob Collins the guard. As it was this was a very lucky event for John, as in the vent that follows he would of without a doubt have been killed that night. There are various views leading up to the accident, though what I have pieced together is very credible. It had been a recognised procedure over the years and strictly adhered to, that the points out of the good siding being that they were operated by the Shunters and not the Signalman be at all times switched to the stops on the banks of the River Wensum this way no wagon may get out on to the main line accidental. It was not one of the best nights to be out, a foggy night and not improved by the mist rising off the River Wensum. The train now made up and ready to leave Norwich City goods yard for Melton Constable with what was known as the last goods. The head shunter in anticipation thrown the points over for that train when it was ready to leave considering the conditions at the time, a seemly thing to do. However another member of the yard staff passing and seeing the points in the position they were in and remembering the usual procedure threw them back to direct traffic to the stops. Meanwhile, Jimmy Greaves and John Bishop enjoying the home comforts of the warm stove in the guards van, not the slightest idea of what was to follow. The guard having exchanged documnents with the head shunter climbs into the guards van to join his welcome company for the return journey. 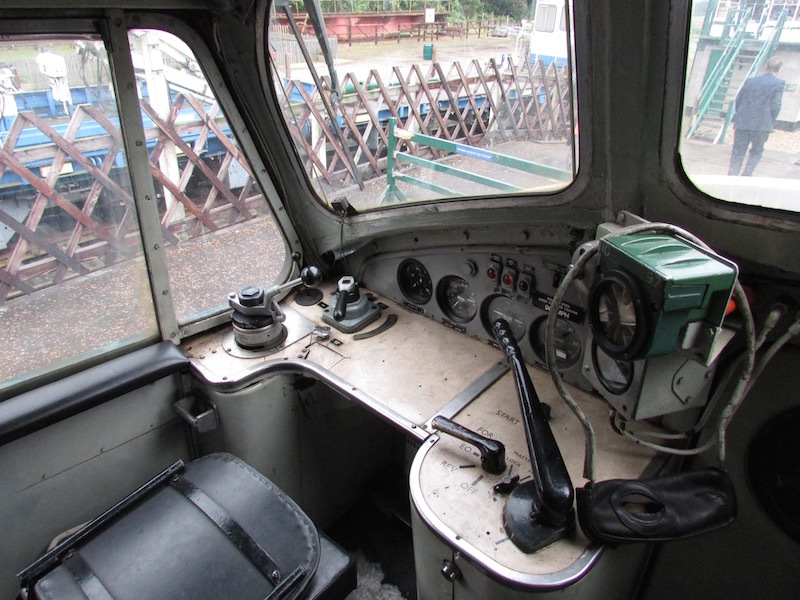 The head shunter to let the signalman know all was ready to leave as and when he was ready to take them. The crew of the engine all prepared for the return journey awaits the signal to go into the off position that they may move off. It was not long before the clattering of the signal as it was switched into the right way position. Henry now standing on the raised step by the drivers seat, right hand on the regulator, shoulder leaning on the boiler casing enabling a gradual pressure of steam to the pistons, the damp atmosphere and heavy train behind gave every possibilty of the wheels slipping. Henry increasing pressure as the train was taking momentum, Tuby on the other hand leaning out into the darkness looking for the guards signal. A lamp swinging from side to side from the brake indicating that all was well and the whole train following in the manner intended. He could not yet see any light from the brake, leaning even further out clinging to the uprights of the steps up onto the engine attempting to draw the guards attention by swinging his own lamp the front lamp from his cycle he had brought with him and still nothing. Above the noise of the engine beat he called out to Henry to give him another blow on the whistle. 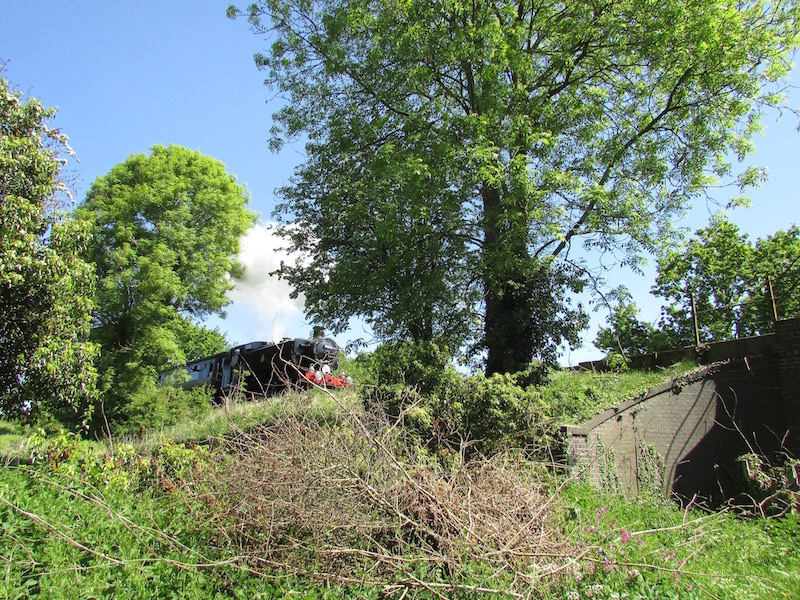 Henry reaching up for the whistle cord suddenly found himself being thrown again the boiler and towards the drivers window as the engine struck the buffer stops and started to downward career towards the river and lurching on to its side. His body thrust against the the seat his legs coming up off the step he had been standing on suddenly forced towards the fire hole door by Tuby’s body as he was flung from his previous position gripping the hand rails. Leaning out as he was saved him from the fire irons consisting of a bent dart, straight dart and slack shovel. One of these alone would certainly have caused some serious injury these tools with other loose equipment bedded themselves into the space beside the boiler, exactly where John Bishop would have been sitting had Henry allowed him on the engine. The engine had now come to a halt the water from the river getting into the ash pan and up into the firebox causing the cab to become an inferno of steam and belching flame. The train wagons loaded heavily still pushing from behind forcing the tender up into the air while two wagons ended up under the tender. In the meantime the tender plate rupturing the floor boards of the cab momentarily making it impossible for Tuby to get up the steam and belching flame making it a very uncomely position. The whistle had now drooped open issuing its ear splitting howl, accompanied by escaping steam from the safety valve all adding to the confusion surrounding the engine crew. Henry having gone out of the cab leaving Tuby alone watching as the water from the tender filler hole cover now flung back pours over the coal bringing with it small pieces of coal and other items off the tender expecting at any moment to have one of the large lumps of coal to land upon him adding to the already discomfort. Seeing the ring of light below the side of the cab now above him with a final effort makes it out into the night air. Tuby finds Henry who is fine though shaken, the barb wire put by the river as part of the war defences makes getting up on the goods yard difficult. He walks back down the train and is accosted by the shunter “Who are you! ?” He tells the man, who when advised no serious injury had taken place was overcome with emotion with the thoughts of what he may have been responsible for and disappeared into the night. In the brake van John Bishop was thrown against the the brake sheet causing damage to his right arm. Jimmy Greaves had injury to his body and had to go to hospital the next day. The guard I believe was not injured they had a recessed seat and if he was using it that may have helped to save him. The staff at the station were in a quandary as how they may get the crews back to Melton, some clown suggest should someone not put the injectors on? With much discussion a taxi was called for and tw very wet dirty engine men and the crew from the brake loaded into this oversized taxi and taken back to Melton. Tuby now had to cycle home with no light this he had lost in the accident his concern was the local Policeman may see him. The next thing he know is Mother calling him up the stairs she having no knowledge of the whole incident. A man wants you from the works she said thinking someone was enquiring how he was after the accident he came down. The messenger says can you come on duty the other crew that would be John Bishop and Jimmy Greaves are off sick and can’t take their turn today. This is from the horse’s mouth and I am prepared to believe it fact and true. Today this would have resulted in serious counselling and compensation. I add railway men played a part in the war effort as many of their counterparts they received no medals for their efforts. 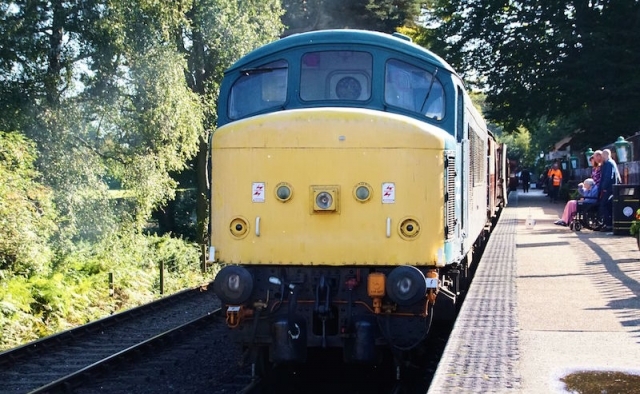 Whitwell and Reepham Railway track laying plans. 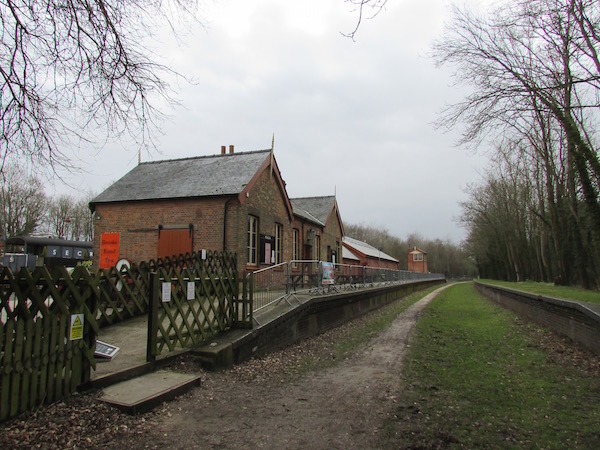 Whitwell & Reepham Station was opened on the 1st July 1882 and was part of the Midland and Great Northern Joint Railway’s (M&GN) branch from the main line at Melton Constable to Norwich City. 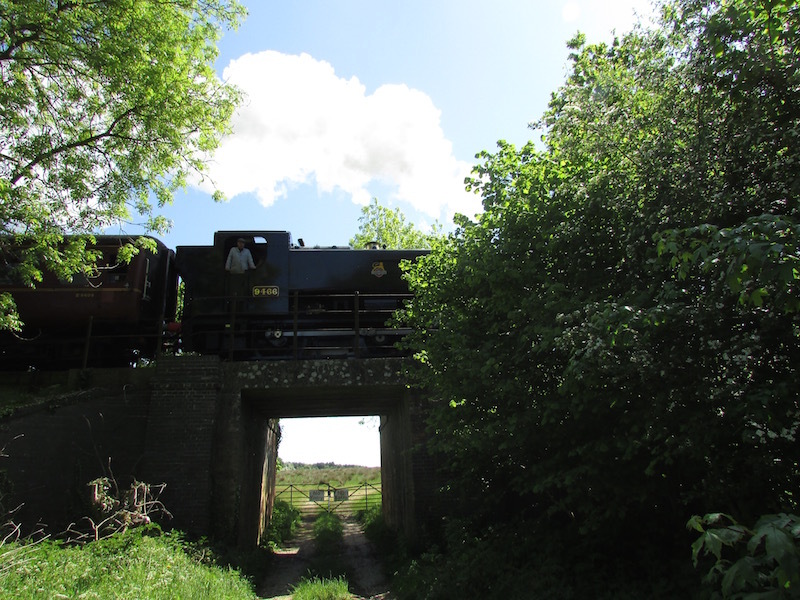 The line was used for passengers and freight goods bringing coal from the Midlands to Norfolk and peat, for burning, dug out of the Broads together with grain for use outside the county. In the 1950’s with car ownership becoming more popular and affordable together with more freight being moved to the roads, rail usage started to decline. British Rail were losing money and radical decisions and cut backs were made. On the 2nd March 1959, the line was closed for passenger use however the station remained open for goods traffic until 1st May 1964. However the track through the station remained in place up until 1985 for movements of concrete products from Lenwade station, two miles away. 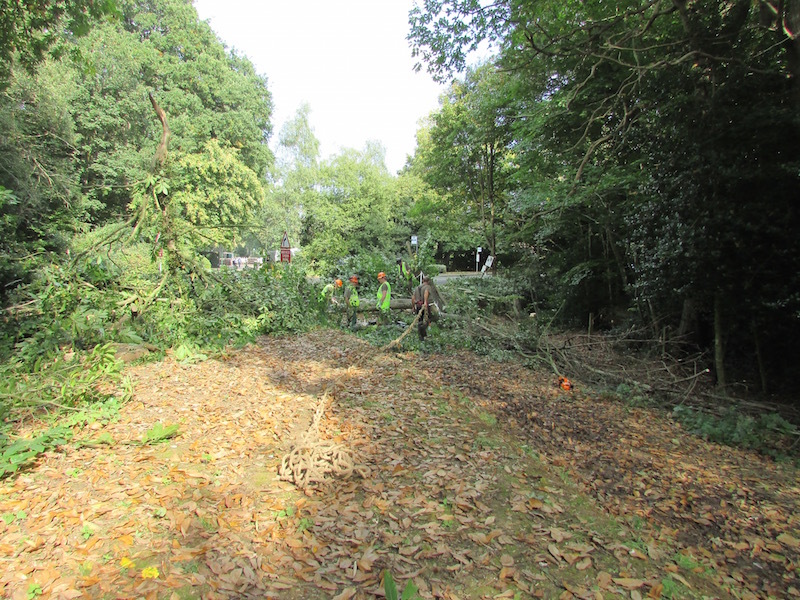 After the station closed faced an uncertain future, it was used for a variety of different purposes from a coach park to tree surgery. 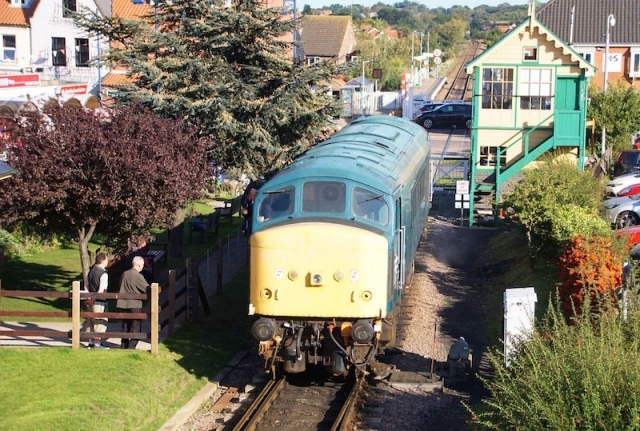 There was even talk at the time to relocate the station building and reassemble it at Holt for use by the newly formed North Norfolk Railway however Stalham Station building was used instead. Meanwhile once the track had been lifted, the track bed was used as part of the Marriott’s Way, named in memory of William Marriott who was Chief Engineer and Manager of the Midland and Great Northern Railway (M&GN) for 41 years. 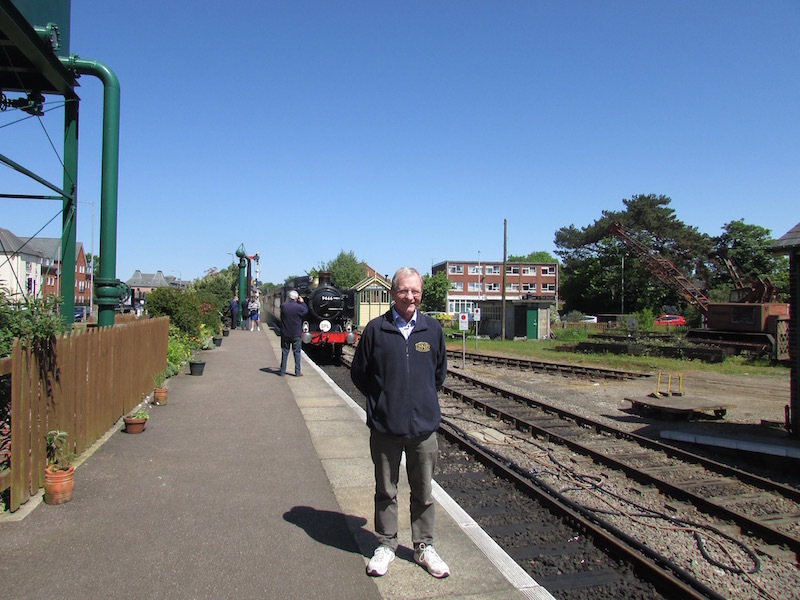 In September 2007, railway enthusiast and local businessman Mike Urry bought the station site. In 2008 the Whitwell and Reepham Preservation Society was formed and phased plans were drawn up for the development of the heritage railway. Phase one is returning the station to its original layout by relaying track, running trains and restoring the station buildings. 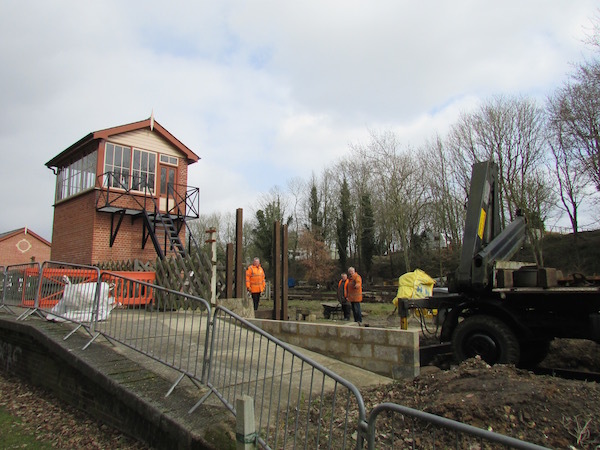 The impressive signal box has been the most recent building project and there are plans later in the year to get it operational. Phase two is to extend the line along Marriott’s Way to Lenwade and then re-create the Themelthorpe curve to Reepham station. 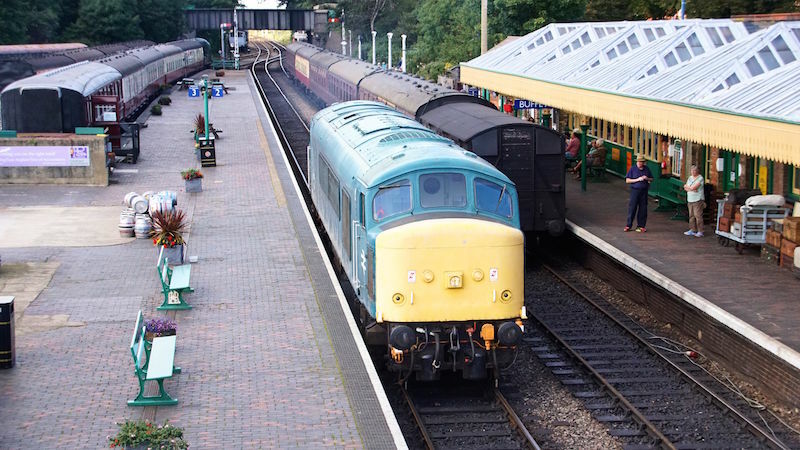 Phase three would be linking up with either the Mid Norfolk Railway or North Norfolk Railway. 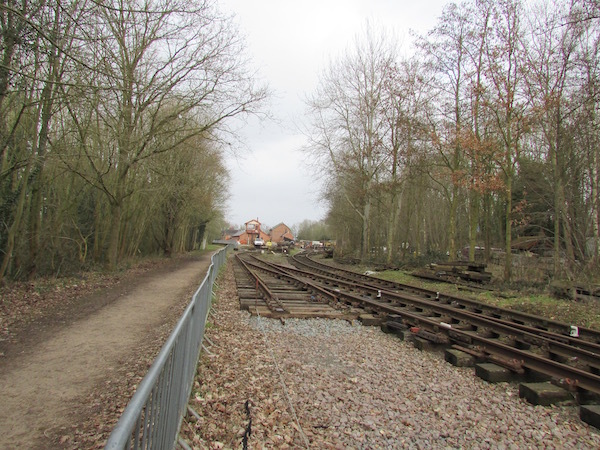 Before the relaying of the track on the trackbed can start, clarity of ownership and permissions need to be granted so a petition has been raised to provide backing and support. The Whitwell and Reepham Preservation Society are keen to progress but not at the detriment of the users of the Marriott’s Way. Track laying is currently within the confines of the station site. 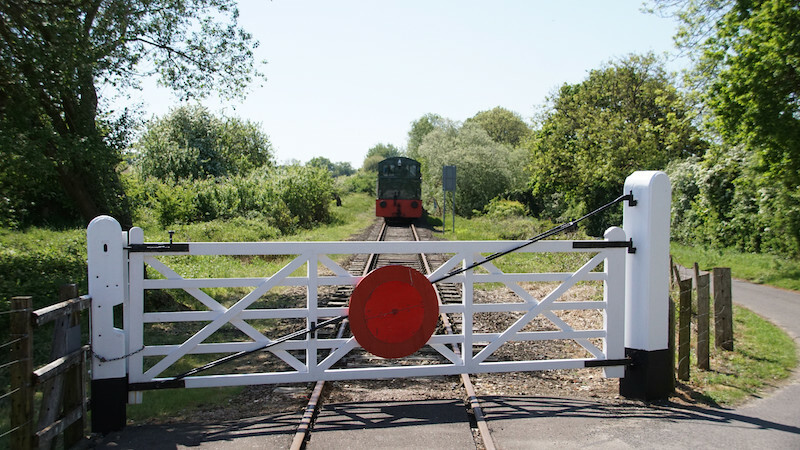 Clarify the term “Railway Land” of the Lynn and Fakenham Railway Acts 1876/81. 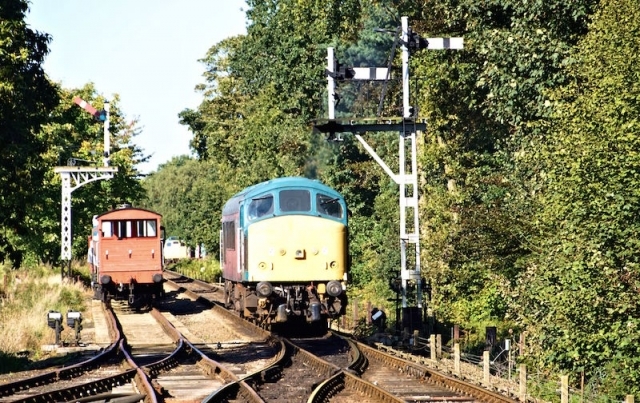 1) Clarify the position of the Lynn and Fakenham Railway Act of 1876 to 1881, the Eastern & Midlands Act 1883 to 1885, and the other railway almaganations up to Network Rail times, and to confirm the land under the Lynn and Fakenham Act still does in fact have an act of parliament still in force for the land to be used as a railway. 2) Clarify who actually has preference over this land if the point above is true. 3) Provide us with a written statement of the above. 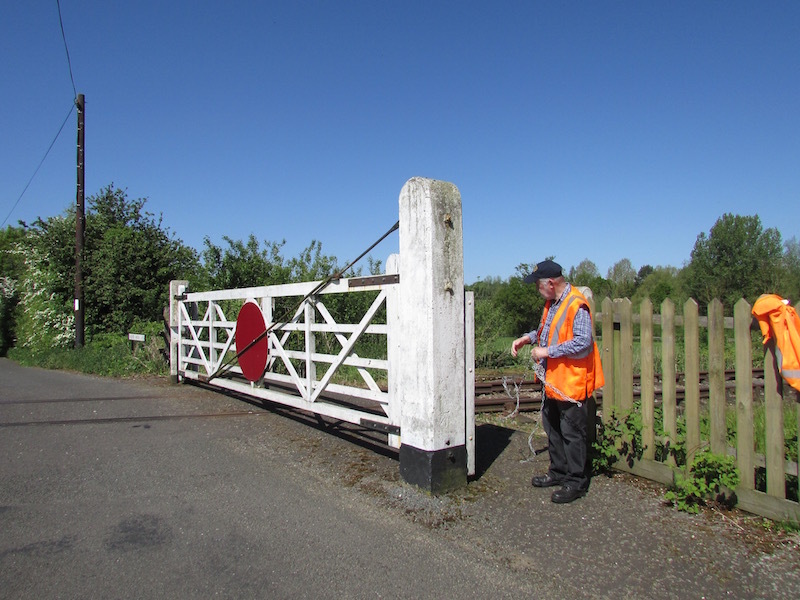 Our Project Officer Paul Young visited Whitwell & Reepham station and spoke with Richard Bailey, the society’s Safety Manager. Richard has been with the group from the beginning in 2008 and has put in the petition. 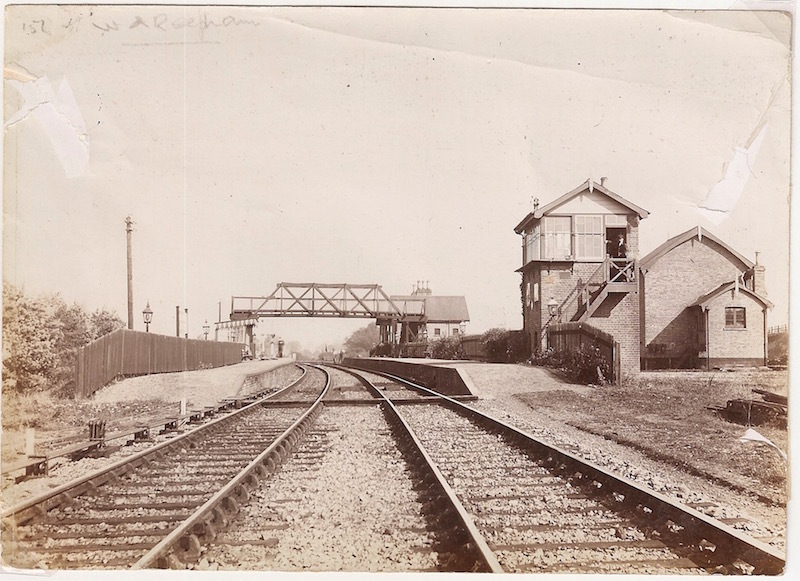 Black and White photograph of Whitwell & Reepham Station copyright of the M&GN Circle. 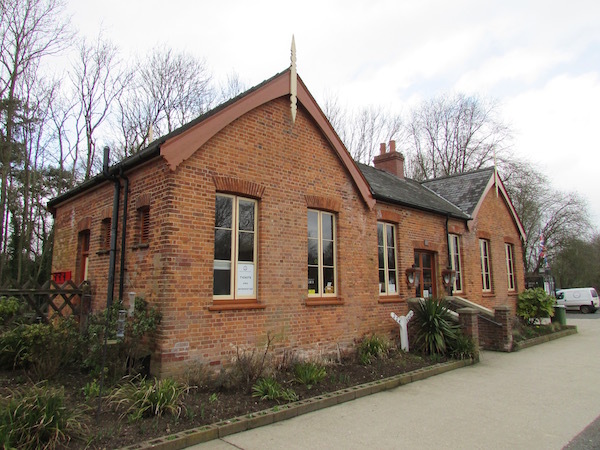 The Railway Institute in Melton Constable was built by the railway for the benefit of its workers as reading rooms, wash rooms and general recreation until the closure of the railway works in the early 1960’s. At that point a group of local people (and by then) ex-employees banded together and bought the freehold of the Railway Institute from the British Railways board, and formed a trust under the name of the Country Club that endures to this day. The Country Club offers many forms of social recreation to local people, including bar facilities, snooker, pool, a large function hall etc. 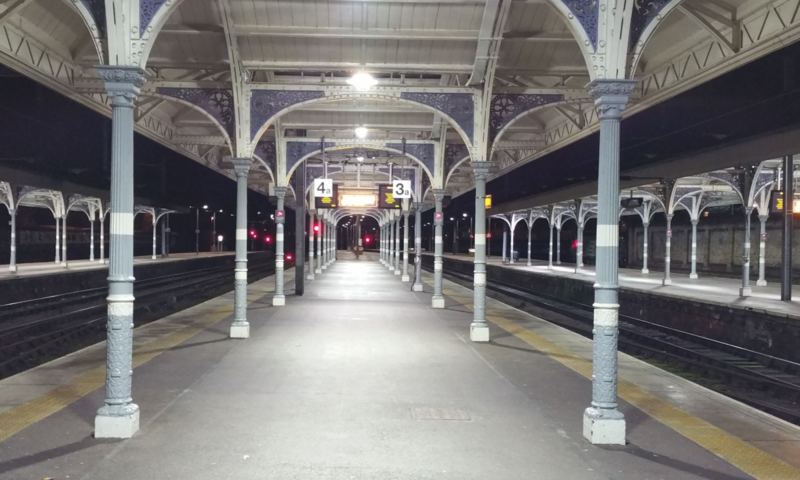 Importantly we believe that the Railway Institute is one of the very last remaining in the whole country that largely operates as it was intended when it was built in the late Victorian era. 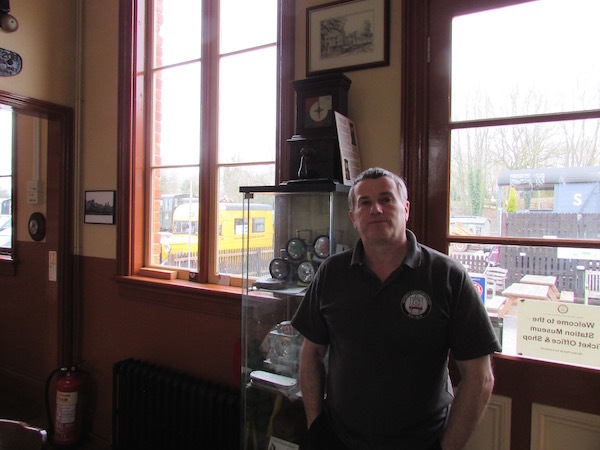 The historical importance of the building was recognised by both the Holt, Melton Constable & Fakenham Railway Company, and the Melton Constable Trust when it chose the landmark Railway Institute to be their registered offices. Unfortunately as it is a large Victorian building with high associated running & repair costs, coupled with the nationwide downturn in the licenced trade, the building is in very real danger of having to close its doors. If this were to happen then the building would have to be sold, and would likely end up being converted into residential use – robbing the village of its only social centre and arguably the most significant building left from the era of the railway works in Melton Constable. 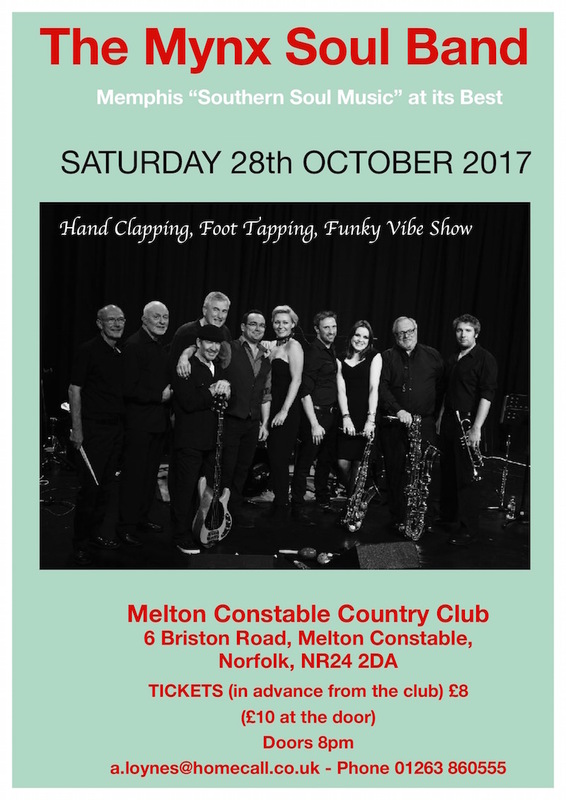 A concerted effort is now underway to try and save the Institute, and the renowned nine piece Mynx Soul Band have kindly agreed to do a fund raising concert at the Country Club free of charge on Saturday 28th October. Tickets in advance are £8 and are available from the Country Club, by phone on 01263 860555 or email a.loynes@homecall.co.uk. Donations are also invited to help save this unique piece of railway history, cheques should be made payable to The Country Club, and sent to the Railway Institute, 6 Briston Road, Melton Constable, Norfolk. NR24 2DA. Mr Frank Morgan was a Railwayman at Melton Constable and worked there for many years. In June 1999 when he was in his nineties, he wrote down his memories of the Railway Institute in 1927. Built in 1896 as the Railway Institute and extended in 1912, this building was constructed for the recreation of railwaymen and for the furtherance of education for the apprentices that were employed on the works. 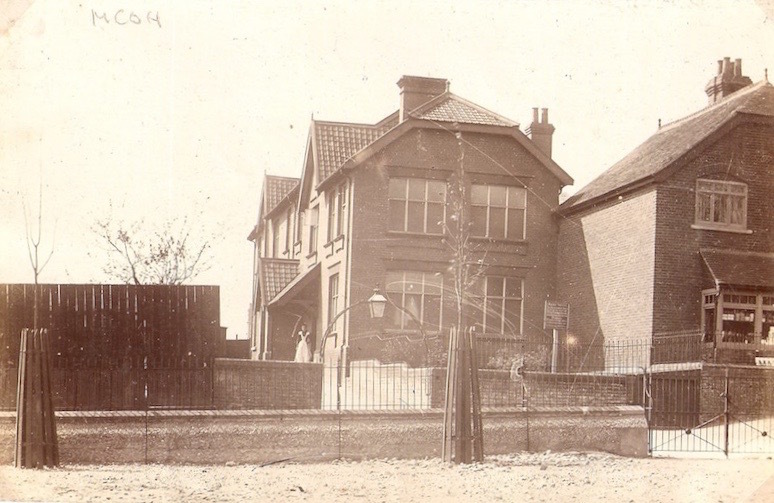 After the extension it consisted of six rooms upstairs and 2 rooms and a dance hall and kitchen downstairs, the boiler house, 2 bathrooms and ladies and gents toilets were situated in the yard. A large cellar was situated underneath the 1912 extension. 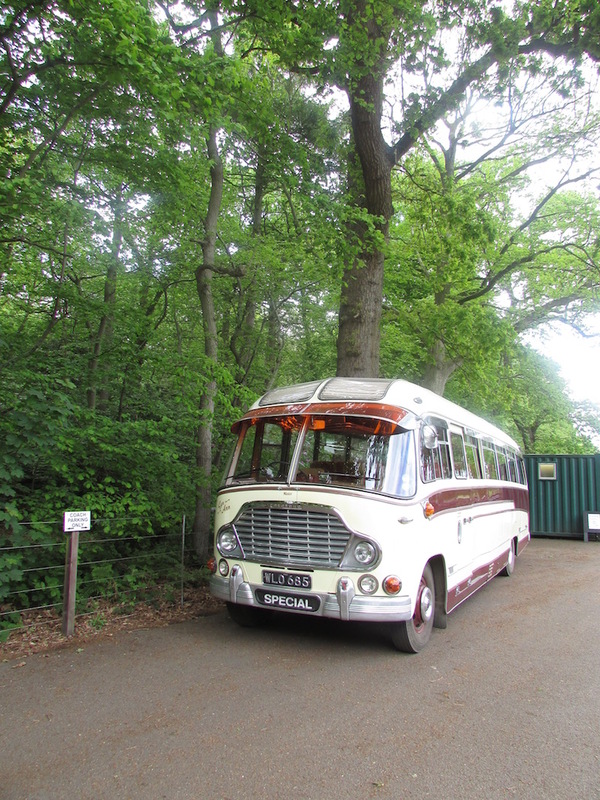 In those days there was no demand for a lot of storage room and as Boy Scouts we were allowed to store all our camping equipment in there free of charge, until about 1930 when the Institute obtained a licence for selling alcohol. Then we had to find room in the Scout Hall for all the gear as the cellar was then needed for beer and stores. The members money was one penny per week for apprentices and two pence per week for adults. This was stopped out of your wage packet weekly. The staff employed was a caretaker and assistant…..I don’t recall anyone else. They did all the chores, serving at the counter and controlling all that went on including the letting of the baths which cost just four pence per bath. The hot water for the baths was supplied from the boiler which was situated next to the bathrooms. This boiler was also tended by the caretakers and the supply of coal was delivered by horse dray by Messers Attoe and Twiddy coal merchants, this was delivered a ton at a time and had to be carried in Cwt. sacks up the alley alongside the Institute and tipped through a hatch into the boiler house. The reading room (now the billiard room) was very well equipped . Every daily newspaper was supplied and each was placed on the reading desks in a manner so that you could peruse the whole paper without any problem of slipping pages or any obstruction. The only snag being you had to stand up all the time. the large table in the middle of the room and the bench on the east side had all the books and periodicals of the day and all the seating in the room was of wooden but comfortable arm chairs. A notice hung on the wall stating that audible conversation was not permitted. The next room was the Committee room, the only time the room was used was for Committee Meetings and as a gents cloak room when there was a dance on in the hall. Next came the Music Room probably so called because it housed a piano and was let to music teachers, was also used for evening classes for apprentices, at one end was a huge glass showcase which housed a large machine all made in wood and operated by a wooden handle, this was also for instructional use. Next came the Library containing 3000 volumes, this was in the able hands of Mr. Loue Porter, it was only open on Monday evenings from 7 pm till 9 pm and members of the public were allowed to have books but I can’t remember what they had to pay for the privilege. Next came the juniors billiard room containing a 3/4 size table, this was for members 14 t0 16 years of age to learn to play on at 2d per half hour and Monday evenings the table cover was promptly put on by the librarian at 7 o-clock and cards approximately 10” x 8” laid all around the table and book numbers were printed on them from 1 to 3000 as an index and the name of the book. you made your selection from these cards and then studied the chart in the corner of the room and if the book you fancied was in the indicator showed green, if it was out it showed red. The kitchen was rather crude, containing some rather large ovens which I believe were gas fired. Next the Bar, a small counter which only covered an area of about 6’ x 6’ which only left about 4’ x 4’ for the caretaker to move around in. anyway this sufficed until about 1930 when the licence was granted and then things became a bit cramped but they soldiered on for several more years until it was eventually bought and taken over by the Country Club Committee and made into the nice club of today. The north wall was a well upholstered seat and faced by 3 marble topped and iron framed tables, This was the only place that chess, dominoes, draughts etc. were played. Through now into the main billiard room which housed the reckoned second best billiard table in Norfolk. When we ‘became of age’ we seldom got the chance to play on it as it was mostly taken up by the ‘Nobility’. 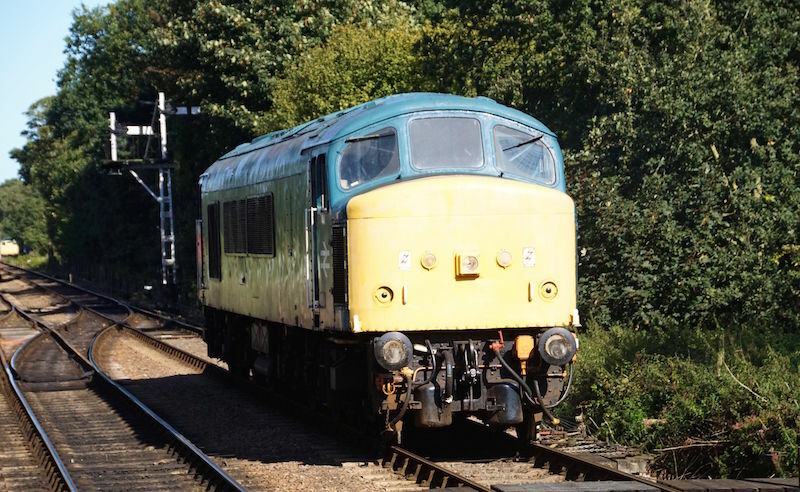 Class 45 locomotives also known as the Sulzer Type 4 diesel locomotives nicknamed ‘Peaks’, were built by British Rail between 1960 and 1962. They were used mainly on the Midland Main Line replacing the steam locomotives with the advantages of having considerably more acceleration and power. 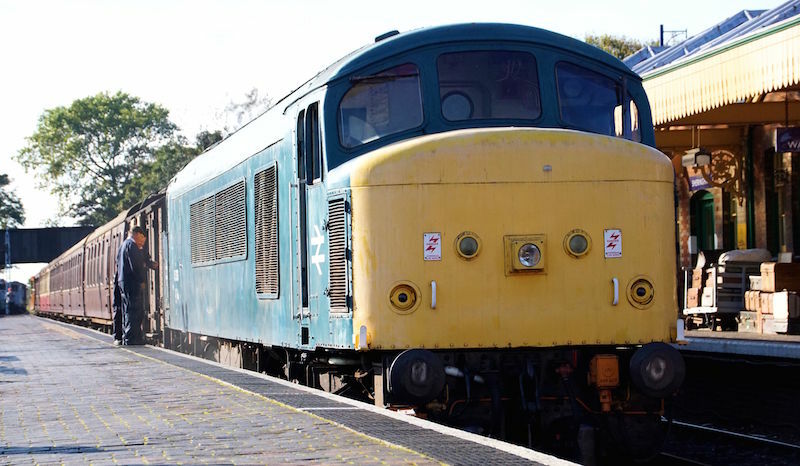 They were in service for over twenty years, with the last one being withdrawn from service in 1988. 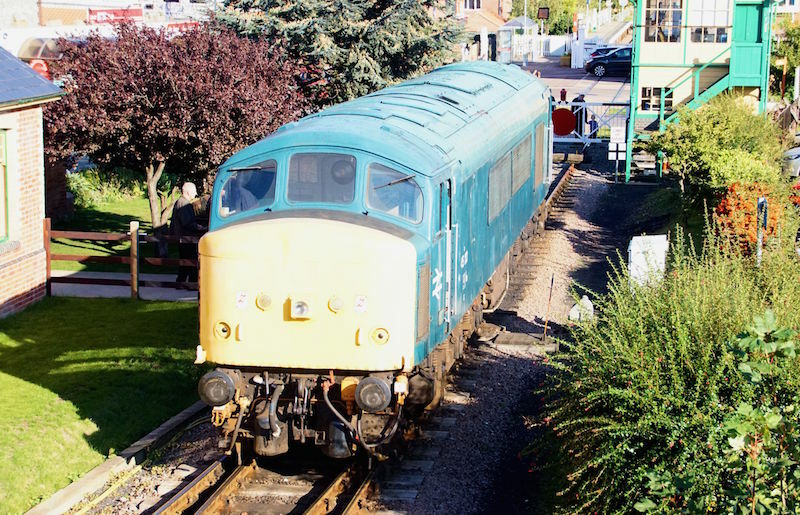 In 1986 the Class 45/1 Preservation Society was formed to preserve an example of these locomotives and in 1990, Number 45133 was purchased. 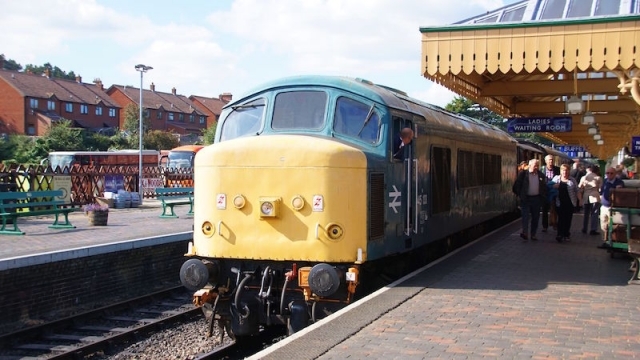 It currently runs regularly at Midland Railway – Butterley however because of the locomotives popularity it has been on a number of the preserved railways in the country. 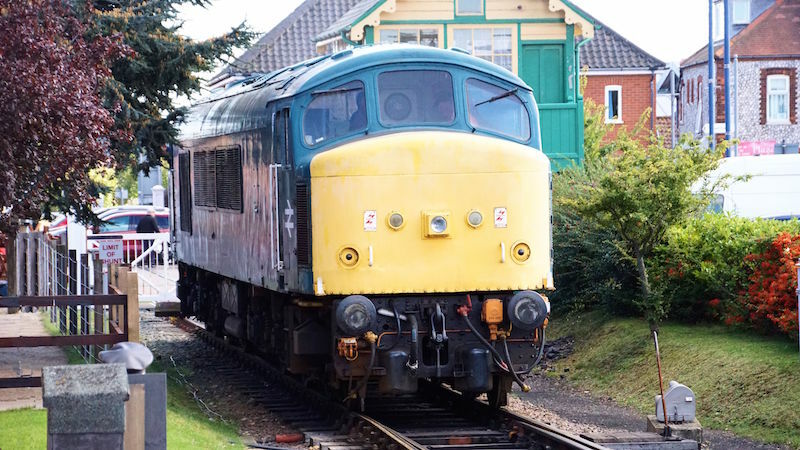 Local photographer, Andy Marrison has been following the 45133 in Norfolk and here are a selection of some taken recently on the North Norfolk Railway. A calendar for 2018 has been released and will be on sale soon. Those were the words of Trevor Bailey, Chairman of Norfolk charity The Melton Constable Trust in response to two vandal attacks on the Trust’s property. 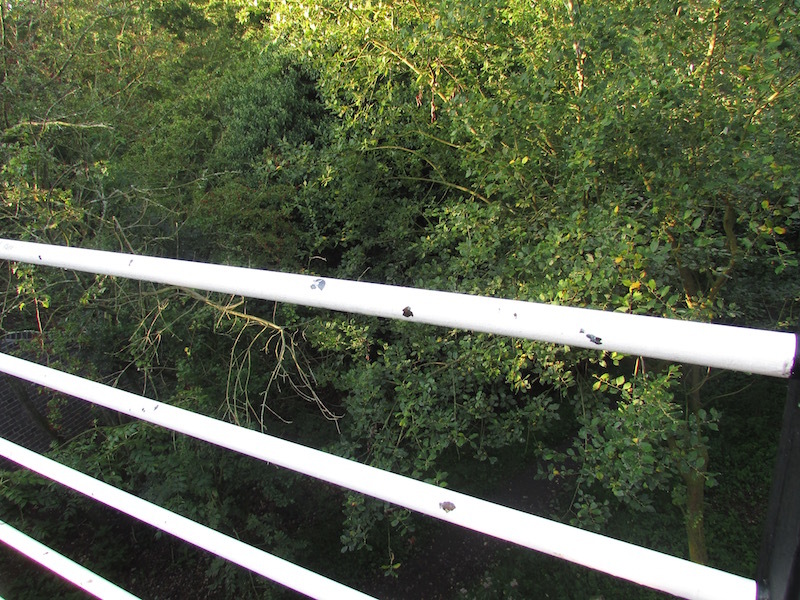 Two and a half years ago the Trust bought, for £24,000, a section of the old Dereham to Fakenham railway at Pudding Norton, Fakenham together with two iconic bridges; one a three arch structure over the River Wensum and the second made of steel and spanning the town’s other old rail route. This was achieved solely with donations from the community. 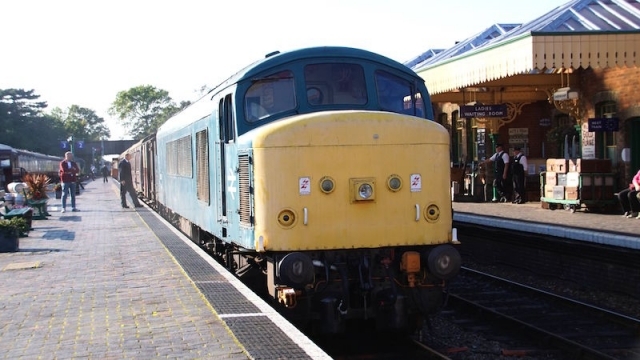 Ultimately, the aim is to restore rail services to Fakenham by linking up with the existing Mid Norfolk Railway(MNR) and introducing principally a public transport service of modern trains together with an extension of MNR’s heritage services. 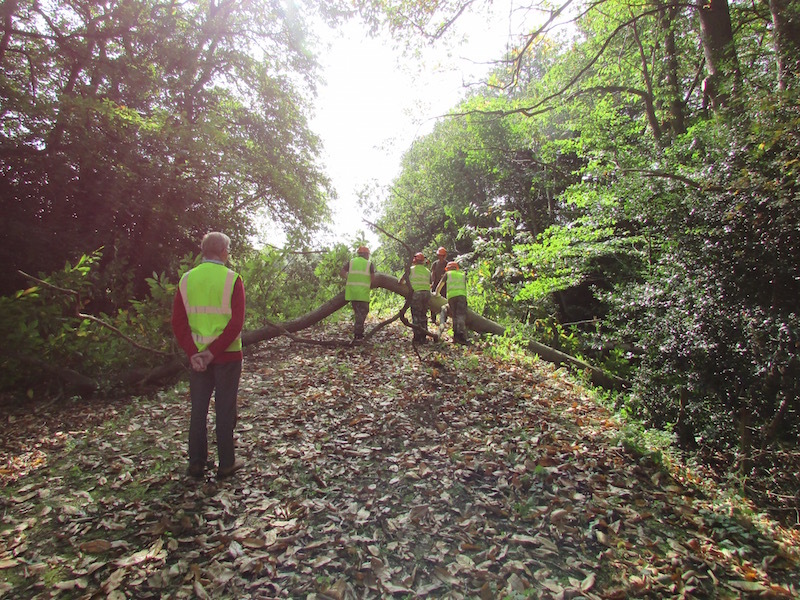 Until then, the Trust wants to make the site safe for walkers and community activities. 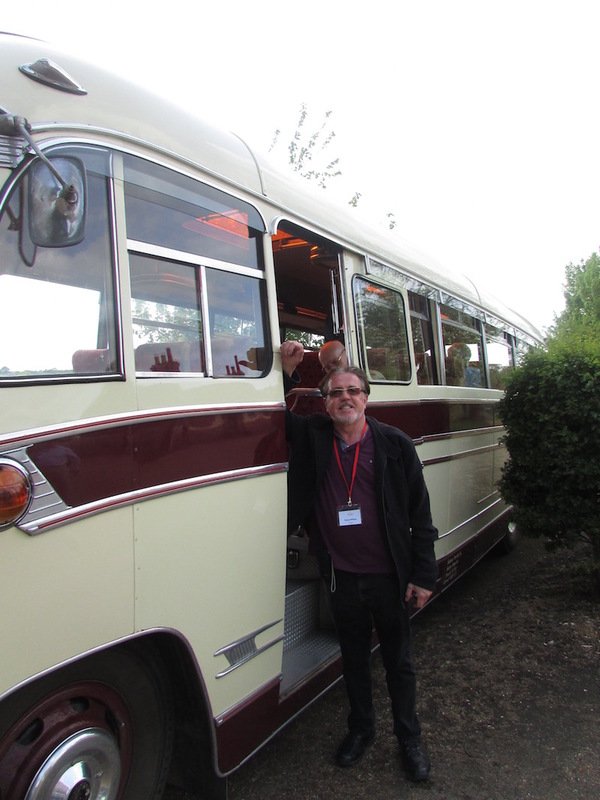 Earlier this year, the Trust was able to announce that it had been successful in gaining grants totalling £63,600 from the Heritage Lottery Fund and other charities and authorities. This was to be used to repair the bridges, which had received no maintenance since before 1980. 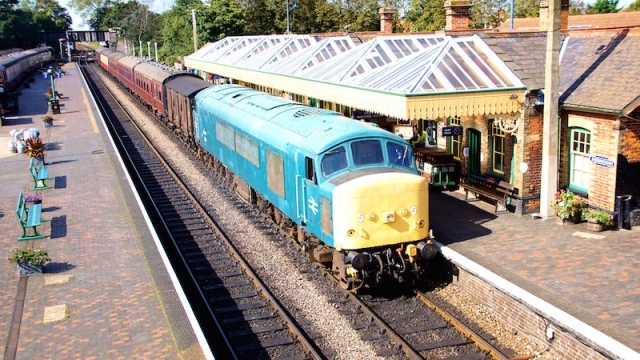 It would also fund information panels explaining the history of the railway and the importance of the Wensum Valley environment, together with railway based educational materials for Fakenham Academy and a teachers’ course. This would include oral history recordings of local people who worked on or used the line before closure. 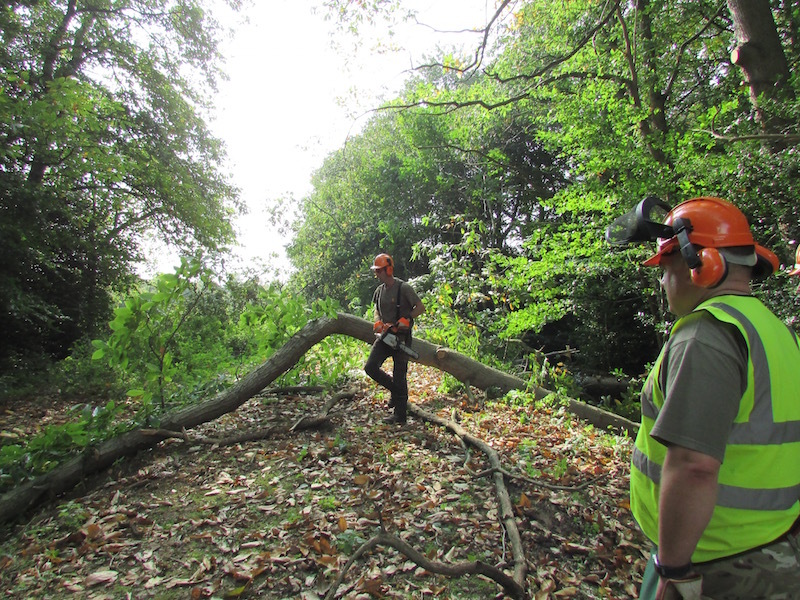 Fakenham Area Conservation Group would help with maintenance of the area. 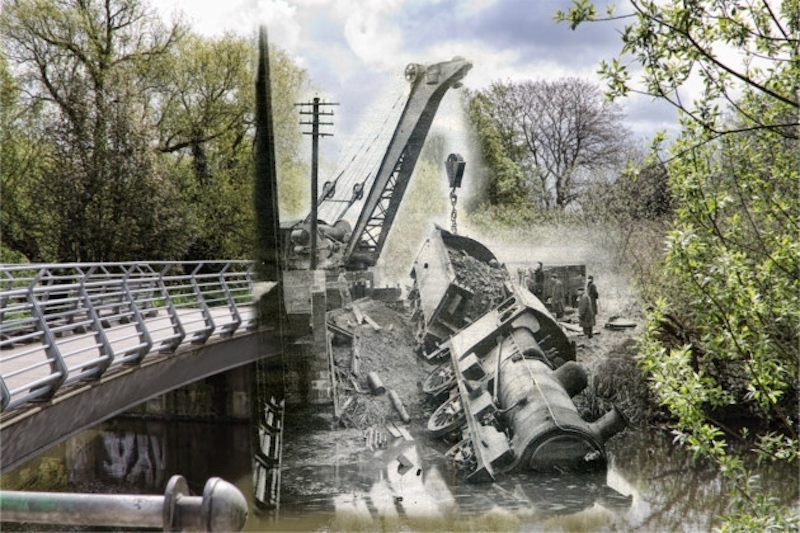 The largest task was to arrest the decay of the bridges and to make them safe for visitors to the site. 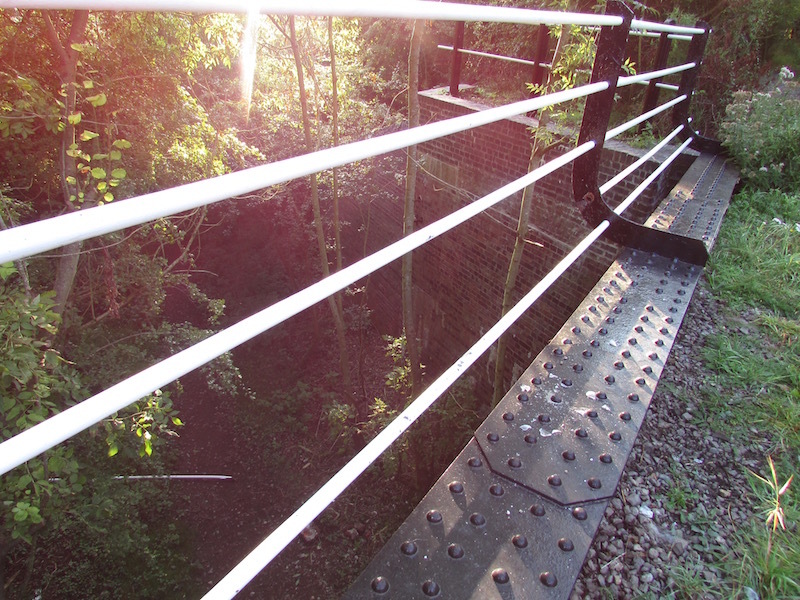 The railway provides a very pleasant walk from the Norwich Road to the banks of the Wensum. 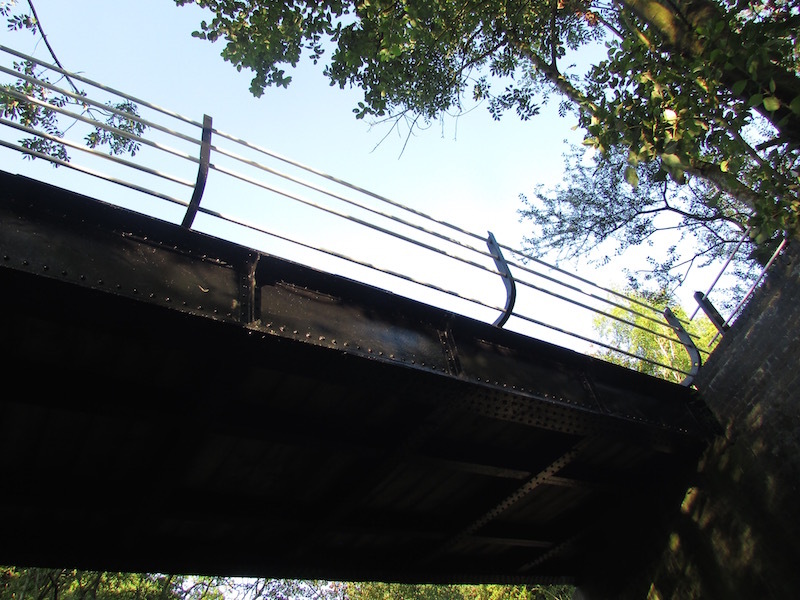 The bridge restoration work was accomplished a matter of weeks ago by professional engineers who repaired masonry, repainted metalwork and crucially rebuilt the safety rails on the steel bridge. 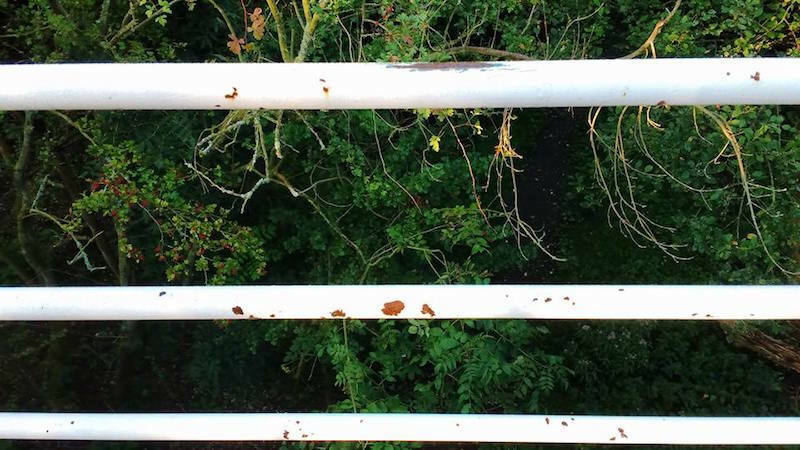 The Trust is asking the public, including walkers who use the site, to keep a watch and report any sign of vandalism to both the police and to the Melton Constable Trust. If anyone thinks he knows who is responsible, the authorities will be very glad to hear. 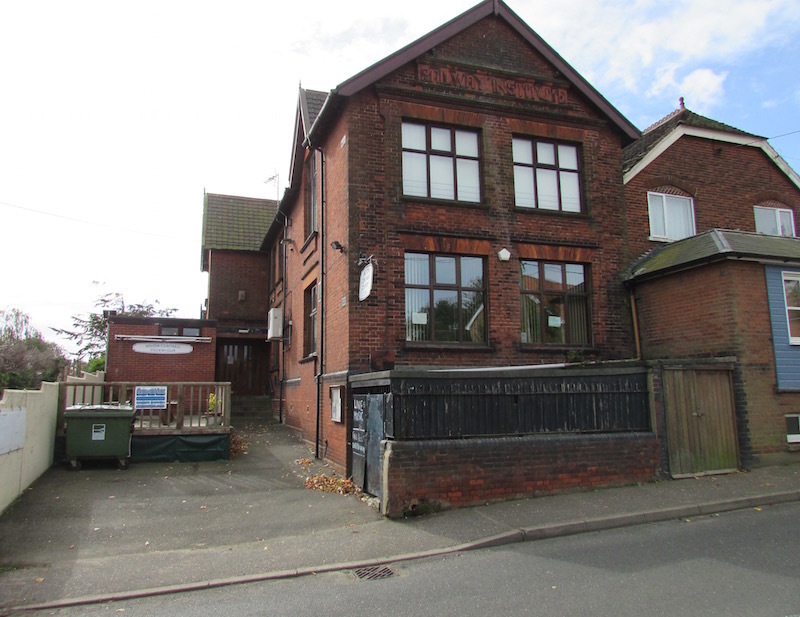 The police can be reached by dialling 101 or visiting their Public Enquiry Office at 30 Norwich Rd, Fakenham NR21 8BB. The Trust is determined to press on with its work and to make sure that the police receive any information that is discovered about the culprits. 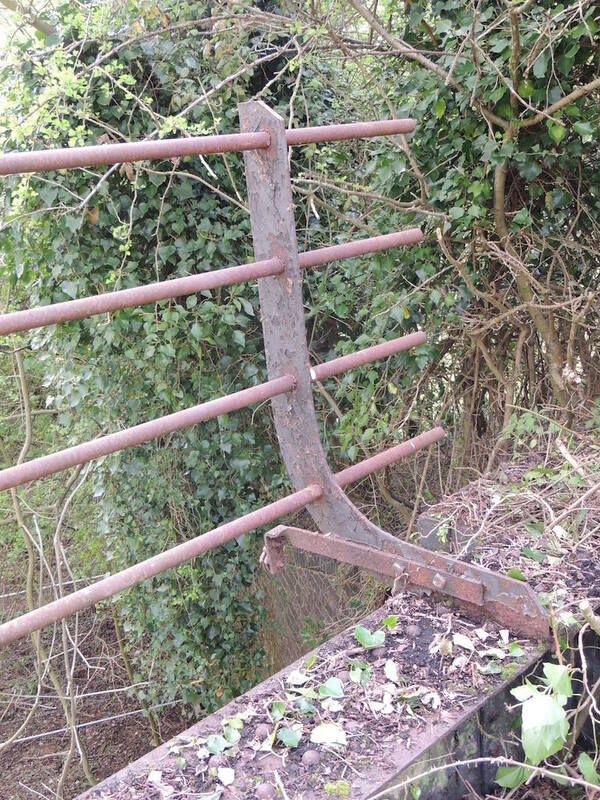 Anyone who would like to donate towards the costs of repairing the damage or to the Trust’s ongoing work to acquire the remaining land needed to restore the railway to Fakenham can do so by sending contributions to the Trust’s Secretary, Adrian Loynes at The Melton Constable Trust, The Railway Institute, 6, Briston Road, Melton Constable, Norfolk, NR24 2DA. Cheques should be made out to The Melton Constable Trust or bank transfers can be made to the Trust’s account: sort code 30-94-34 account no. 00493540. Colonel Stephens, a British light railway civil engineer holds a unique place in railway history for designing, building and managing sixteen light railways in the early years of the last century. They were built to provide links in areas where the main railway engineering companies had not constructed them due to the viability of the services. The light railways were constructed on tight budgets and used second hand materials and locomotives. The pioneering attitude and approach to how these railways were built and operated has attracted a lot of interest over the years and a Colonel Stephens Society was formed. 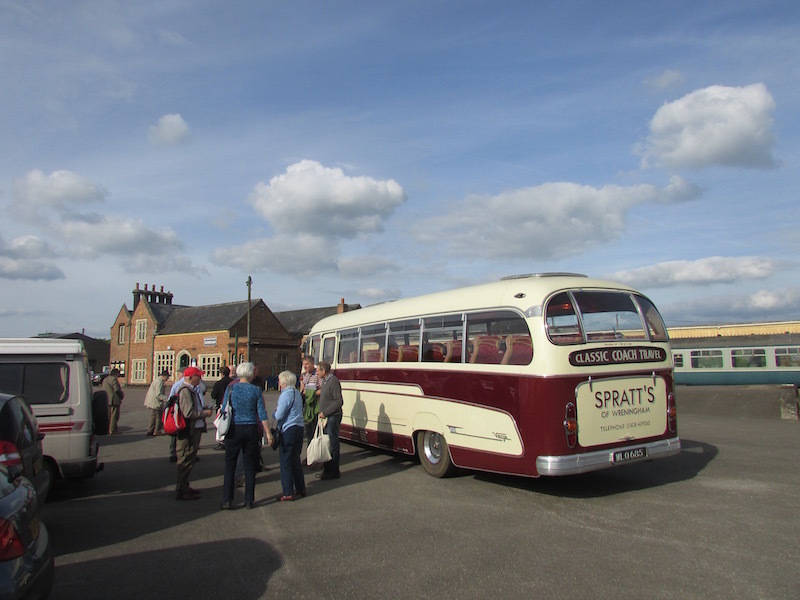 On the weekend of the 20th and 21st May, a Colonel Stephen’s 2017 AGM was held and members of the group took trips out on the Mid Norfolk Railway and on Sunday they travelled from Dereham to the North Norfolk Railway on a vintage 40 seater Bedford Duple coach. 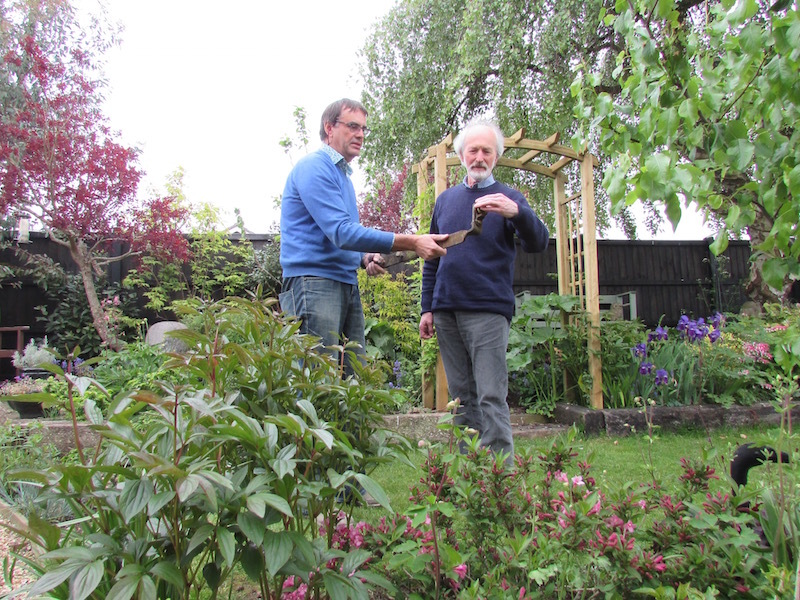 Audio: Trevor Bailey – Trustee Melton Constable Trust. 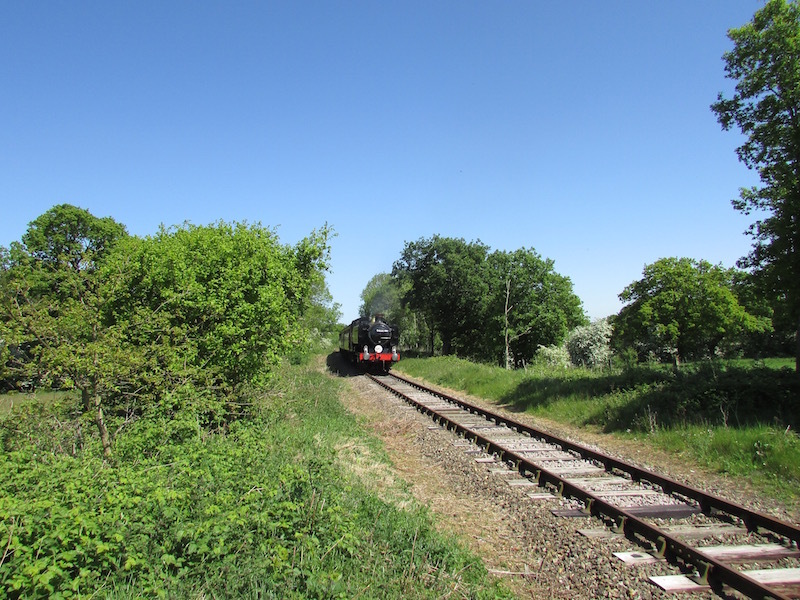 In April we reported on the the successful National lottery application to support the Fakenham Railway project. 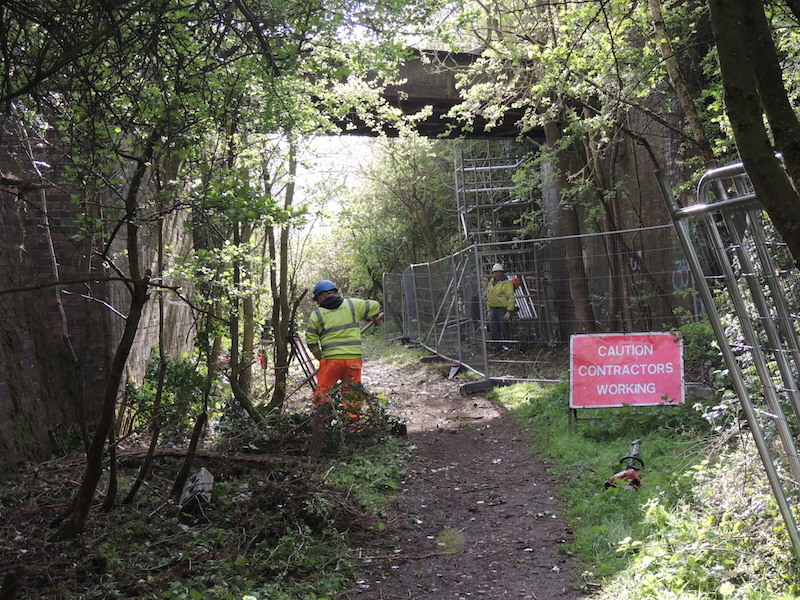 As part of the first phase of the project, work has started on renovating the railway bridges and is expected to be completed in May. 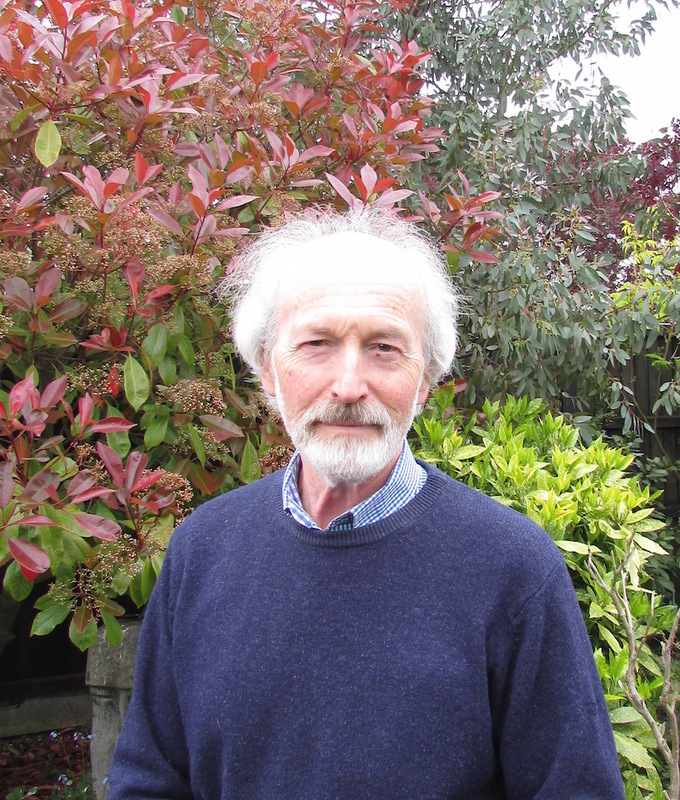 Trevor Bailey who has a Fellowship of the Royal Society of Arts (FRSA), is a trustee of the Melton Constable Trust who manage the Norfolk Orbital Project. 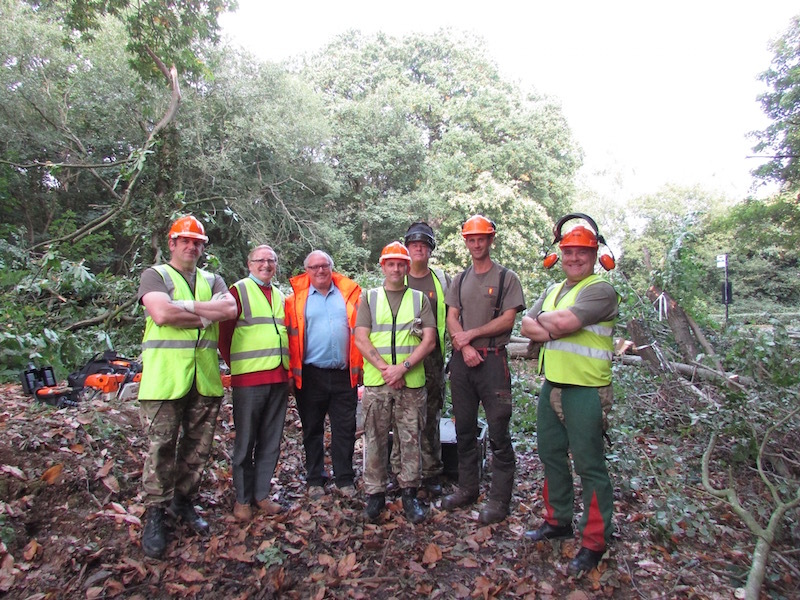 Trevor was instrumental in putting together the detailed lottery funding application and setting out the project plan. 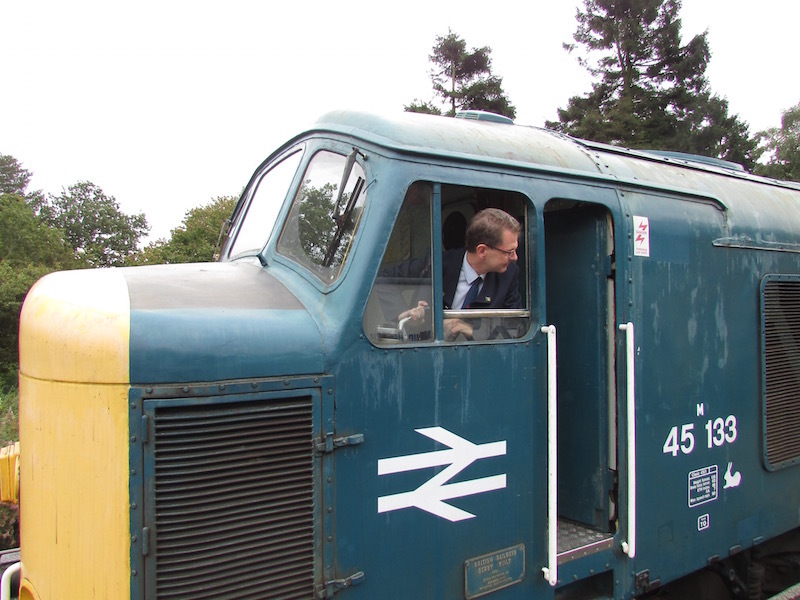 Trevor grew up in Sheringham and played a key part in securing the railway line for what is now the North Norfolk Railway. He has worked in several branches of rural economic and community development, mainly in the charity sector and has been actively involved with rural media organisations which he has set up and developed, as well as chairing several major organisations including an EU funding body. Trevor is an advocate of public transport and in particular rail use, supporting the multi purpose roles it has in todays society: transport, heritage and freight. 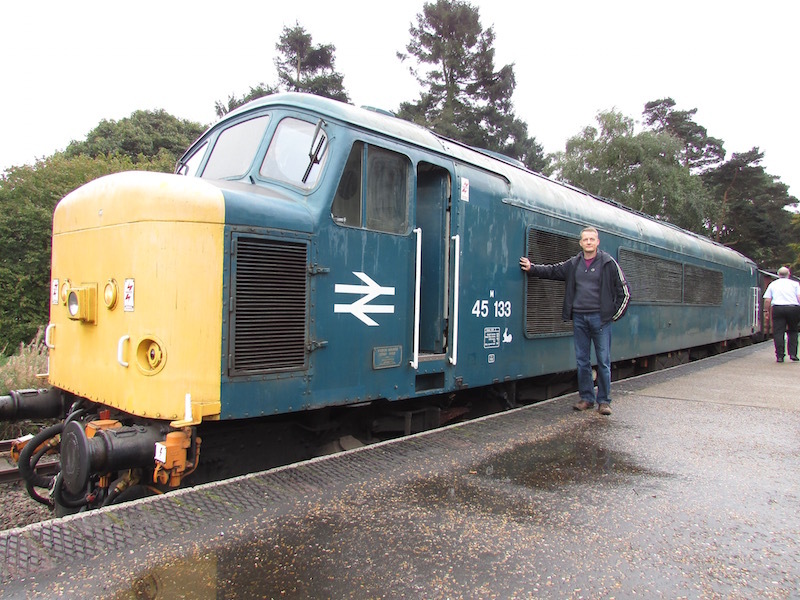 On Saturday 6th May 2017, he met up with Paul Young, the project officer for the Norfolk Orbital Railway who is currently managing the Fakenham Project. 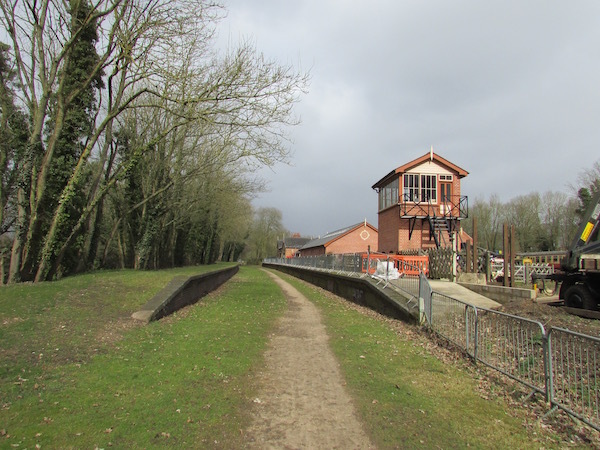 There are also plans later in the week for a site visit to get a progress update and to set up meetings for phase two of the project which includes the history of the line and interpretation.